The dressing is a killer in this Salad and I might make more next time and just drink it. Pomegranate molasses in the dressing gives it a nice fragrance and sweetness and also takes the edge off the tart vinegar. The shallots slightly pickle in the vinaigrette and taste amazing on the salad. 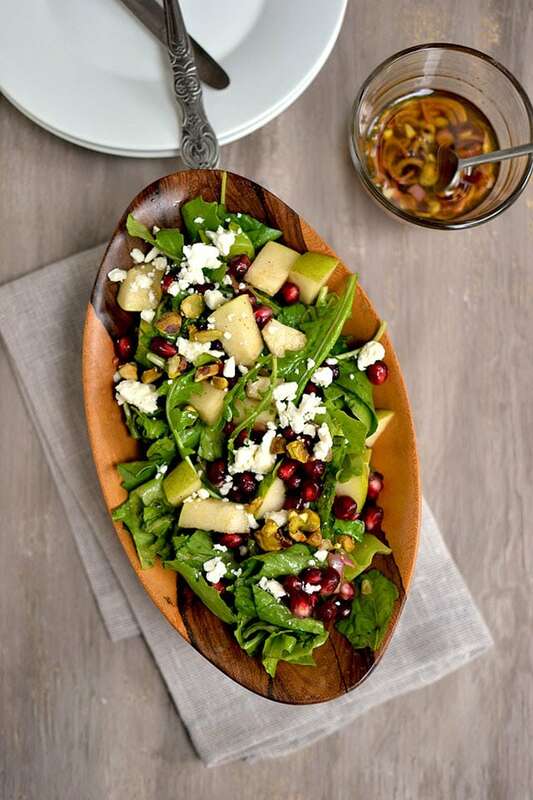 This is one perfect Fall salad which I plan to make often this season.